Costmary has long, pungent leaves that were once used as Bible markers to keep bugs away. They can be dried and added to sachets or potpourris. 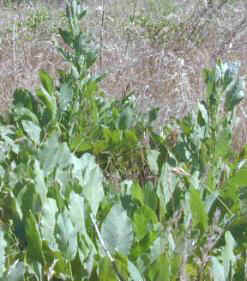 It is a very pungent plant that covers a lot of ground very quickly.